Commercy is a small town in Lorraine, France. Here is the “deep France”, the deepest of all. Here people have understood before the others that they have nothing to lose by revolting. Commercy is not far from the place where Joan of Arc was born and from where she saw her visions, which led her to lead the historic battle for saving France from the British invasion, as a local Yellow Vest reminds me. One of the reasons she appeared was because the King of France was unable to defend his country and his people. Now it is not Britain, but European and international neo-liberal capitalism which is threatening the French people (and all European nations). As for the King of France, Emmanuel Macron does not even pretend to defend his country and his people. 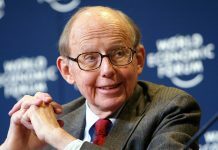 On the contrary, this young Rothschild banker was until recently, and quite openly, claiming to represent the perfect tool of the international and French financial oligarchy, able to end the “French exception”, imposing neo-totalitarian order on the country of the French Revolution, of the Paris Commune and of May 1968. There is no Joan of Arc around Commercy nowadays. 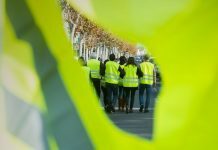 What does exist is an “Assembly of Citizens” of Commercy, created by the local Yellow Vests. Τhey have taken the initiative to convey, for the first time since the beginning of this movement eleven weeks ago, a first “Assembly of the Assemblies” from all over France. Last week-end 300 delegates (or, in some cases, “observers”) from one hundred assemblies, created all over the country, convened here, in the small village of Sorcy-Saint-Martin, next to Commercy, to examine ways to continue their struggle and to discuss their demands. 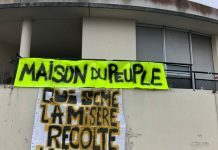 The “Assembly of the Assemblies” has adopted an Appeal, which explains the reasons of their revolt: it summarizes the main strategic demands of the Yellow Vests, economic, ecological and political, it calls for Macron’s resignation, for a “renewable” general strike on Tuesday 5 February, and for the creation of “citizens’ strike committees” in workplaces to help the strikers direct the strikes themselves. The leadership of one of the French labour confederations, the CGT, has already launched an appeal of a strike on the same day, under strong pressure from its membership, followed by some other smaller trade unions. 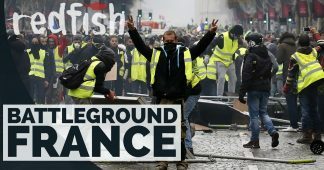 Up to now, the French trade union bureaucracies had adopted either a pro-Macron or a passive stance towards the Yellow Vests movement. 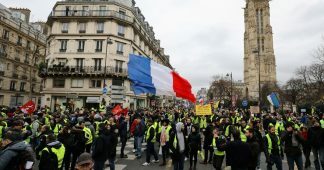 The Appeal, which is the first somehow “official” and all-national document of the Yellow Vests, insists in particular on adopting immediate measures for the improvement of the social situation in the country and to the need for deep democratic political transformations, including the convening of a Constitutional Assembly, the recognition of the right of the citizens to provoke referendums and the abolition of the privileges of the elected representatives. 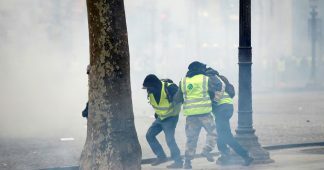 The Yellow Vests condemn both the Police and the violence by “groupuscules”. They ask the authorities to stop massive repression of peaceful demonstrations and issue an amnesty for those arrested and persecuted. We should remind at that point that police repression in France has adopted an unprecedented quasi-terrorist form against demonstrators. There are already 11 people dead, thousands seriously injured, arrested and persecuted. Police is using chemicals in a way that mutilates people, who lose their eyes and hands, in an obvious effort to terrorize the population. 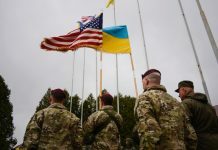 Now, the government is planning the adoption of new strict regulations, practically all but forbidding demonstrations, for the first time since the Nazi occupation of the country during WWII. We publish the whole of this historic appeal at the end of our article in both English and French. You can also see here the Yellow Vests themselves reading it here, a different person each paragraph, as a principle of their movement is the strictest possible application of the principles of direct democracy and of equality. This is the first time that the Yellow Vests have tried some kind of national coordination. Up to now the movement has been (and remains) extremely hostile to all forms of representation, out of fear that it would be betrayed, as has happened so often and with so many movements in France and in the world. It does everything possible to remain horizontal, to avoid electing any “leaders”, “spokespersons” and “representatives”, relying exclusively on methods of direct democracy. Those methods may be fine for now, but sooner or later, the very need for development and coordination of the movement and for efficiency of its political action, the needs it will face trying to consolidate itself as a national socio-political subject may well require more advanced communication and coordination between the Assemblies, in more “representative” forms, even if the mere use of the word “representative” is anathema to most of the Yellow Vests. Paradoxically enough, up to now, most of the debate outside and between the local assemblies has been conducted through Facebook, which in reality is a structure created, owned and controlled by the forces of the rising totalitarianism. Facebook and other social media have been used extensively by private and rather obscure firms like Cambridge Analytica to provoke various political events, like the election of Bolsonaro in Brazil, by spreading millions of fake news items, calibrated to influence millions of people in a “scientific way”. But in France, the interesting thing is that up to now the people have been able to use, rather than be used by social media. This would have been impossible without an accumulated political, cultural, intellectual capital and a high degree of socially diffused general knowledge and consciousness. Those characteristics have been better preserved in the French popular classes than one would guess, given the near monopoly of neoliberal ideas in the public sphere and the decline of French culture during the last fifty years, or a situation where the pace of living and the continuous storm of the minds with an incredible quantity of “signals” affords no space to reflect. This intellectual and political capital represents the lessons of a huge historical experience and of a great intellectual adventure, since the times of the Lumières to now ( “Lumières” means the “Lights” and not the ‘Enlightment’, as the English use to call it, having probably preserved somewhere in their minds the imperial idea of an Authority higher than Man). Even the Yellow Vests seem to feel rather astonished themselves and quite proud of their capacity to use intellect to direct their passion. They have named it “collective intelligence”. It is interesting to note that while “collective intelligence” is developing apace among the popular classes of France, a kind of “collective stupidity” is engulfing those who run the state. “We are lacking in politicians, and have only technocrats”, admits the rather conservative Le Point. By controlling everything, the rulers have deprived themselves of the tools and the people necessary to analyze what is happening and to react to the events. Besides, as Le Point adds, if you earn all your life more than 10,000 Euros per month, it is difficult to imagine how people feel when they see “payment refused”, when they try to use their credit card on the 15th of the month. Now France is two countries packed into one, with no communication between the two parts, no common language, no common space. Sometimes it gets ridiculous, like with the effort of the government to appease popular anger by revising a previous decision to reduce the speed limit for cars, which had provoked some dissatisfaction to the population. They are facing a revolution from a part of the population, supported by the majority of the population, and they are busy with the speed limit, not having the slightest idea of how to counter its slogans and ideas of the revolt itself. It would seem rather unwise to rely exclusively on social media to develop a movement of such depth and extent. Some form of structure, even the most democratically formed and controlled, seems rather unavoidable: for instance by not having anybody to authoritatively represent the movement, not only it is difficult to react to any given question which may arise, you run the risk unelected persons usurping such a role, even if well-intentioned. But, as one experienced Yellow Vest in Commercy tells me, “it is not yet the time for such things”. The “Assembly of the Assemblies” is a step in that direction, even if the Yellow Vests themselves would hardly claim it. Experience has proven that the Vests themselves learn quickly, their main preoccupation being the success and the needs of the movement, not the various individual, factional or party motivations, which often lie behind the degeneration of so many parties, trade unions, associations and movements. If the convening of a national “Assembly of the Assemblies” is a first step towards the creation of a structured national movement, the call for a general strike was the other main result of the Assembly of the Assemblies. It represents the first effort of the Yellow Vests to win over sympathetic but so far still passive parts of the French working class. This is what the revolting students of 1968 were able finally to achieve, bringing the De Gaulle regime to the brink of collapse. The Yellow Vests know it very well for a very simple reason. In many cases, the students and the workers of 1968 are their own parents! When De Gaulle was finally able to win over the ’68 Revolution, not without the great help of the French Communist Party, which has all but disappeared since then, some of the ’68 protesters were saying “We will be back”. They are. If not themselves, their children and grand-children have come to the “appointment”, even if it has taken them half a century! 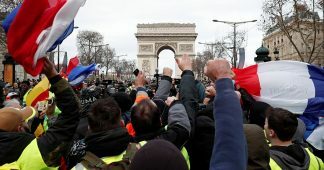 In calling for Committees to be created in places of work, the Yellow Vests, hostile to both political parties and trade unions, appear to have taken into account also the lessons of the general strike of 1968. The call for a general strike for 5 February was first launched by a French trades union confederation, the CGT. The extent of the strike movement next Tuesday will provide us with a precious indication of the actual state of mind of the French workers. In case they are ready to unite with the Vests, then things will become much more difficult for Macron. 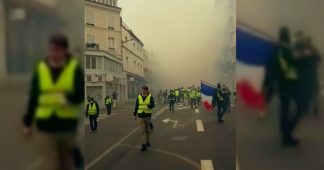 The action of the Yellow Vests has up to now focused on the symbolic level. The only disturbances that they have provoked in the economy have been the problems they have created for the transportation of goods to the shops every Saturday. The last few decades have witnessed deep changes in the French economy and society. The main body of the revolt began in rural areas in decline, where people were suffering from being deprived of adequate care by the state, which contributed to the breaking down of social bonds and the worsening of the general psychological and moral situation of the population. Those regions did not so much want less taxes, as more state care. The price of fuel was a problem, because they relied on their cars to satisfy their most vital needs. It is only gradually that the revolt has been able to win over other social strata by simultaneously developing a framework for national demands, that is able to unite a large part of the nation and the needs of its various classes. 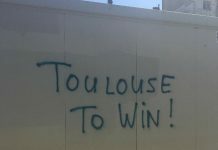 There is no doubt that we are witnessing a deep revolutionary vague in France. The Yellow Vests are here to stay. Nobody will be able to make politics in France (and even in Europe) just pretending to ignore them. European powers are in near panic, even if they try not to show it. They are scared to death by fear of similar movements spreading to other European countries. They have nothing else to propose to their populations than extension of misery and pauperization. They are organically hostile to any idea of redistribution, both inside and between European nations. Even if they wanted to proceed to such a direction, they lack any possibility to do it inside the given neoliberal framework. The demands of the Yellow Vests are in frontal opposition to the neoliberal regime imposed in France and in Europe. Macron remains President of France, but it is difficult to even imagine how he will proceed with the neoliberal “reforms” he is planning. 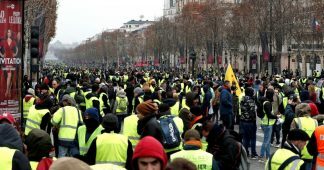 On the other hand, sooner or later, the Yellow Vests, if they go on developing, and especially if a considerable part of the workers will come into the movement, will have to face the question of power and also of an alternative mode of functioning of the economy itself. 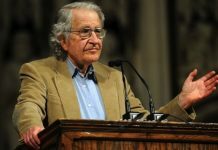 In case of a prolonged impasse we cannot exclude that a significant part of the ruling Oligarchy won’t favor a kind of “Plan B” scenario, trying to organize the defense of its power from the people, with the use of anti-globalization, supposed “nationalist” demagogues, trying to repeat the German experience of the ’30s. For the time being there are not conditions for such a scenario in France, still it would be a serious mistake to write it off. From the time of the French Revolution, French revolts are facing very quickly the European reaction. In nowadays conditions it is also objectively very difficult for any European country to follow alone an economic course hostile to the whole international environment and to the norms imposed by the Empire of Finance. A coalition of nations would be a much better option. This factor is making of extreme importance and urgency the effort needed to be undertaken for the creation of a Federation of genuinely anti-Finance, anti-neoliberal forces around all Europe, able to mobilize people around Europe. We, Yellow Vests, invite everyone, according to his means and capacities, to join us. We call for laws to be respected and executed (12 against police violence in police stations, Act 13, 14…), the continuation of the occupation of roundabouts and the blockade of the economy, a massive strike and repeating from 5 February. We call for the formation of committees in the workplace, in educational institutions, and everywhere else, so that this strike can be built from the bottom up by the strikers themselves. Let’s get matters in hand! Don’t be alone, join us!